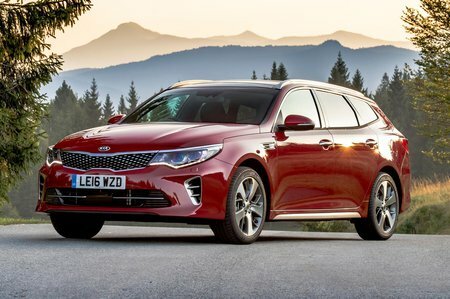 Kia Optima 1.6 CRDi ISG 3 5dr 2019 Review | What Car? A good estate car that impresses on the practical side of things, with a decent boot and generous space inside, but in other areas it falls down. On the road the ride is unsettled at low speeds, while neither the noisy diesel engine nor the dull handling make it enjoyable to drive quickly. A Skoda Superb offers even better practicality along with a more enjoyable and comfortable driving experience. Well worth looking at if you like your toys. It adds 18in alloy wheels, privacy glass, eight-way electrically adjustable driver's seat, heated steer wheel, heated front seats, lane keep assist, and an upgraded 8.0in infotainment touchscreen with Harman Kardon premium sound system. The 1.6-litre diesel is generally fine for a car of this size. Sure, the engine's 134bhp looks modest next to an equivalent Superb or Mondeo, and while it’s not as quick as its rivals away from the lights, it’s flexible enough during normal driving, picking up smartly from around 2000rpm. The problem is that flexibility is short-lived: it runs out of puff by 4000rpm.